Shining with sweet sentiment, these little round Personalized First Tooth & Curl Boxes await cherished treasures ... Baby's first tooth and a curl from his or her first haircut! 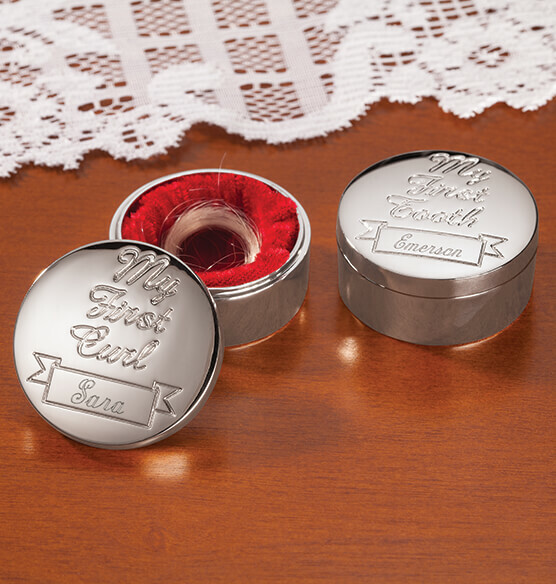 The removable lids are lovingly engraved with "My First Tooth" and "My First Curl". 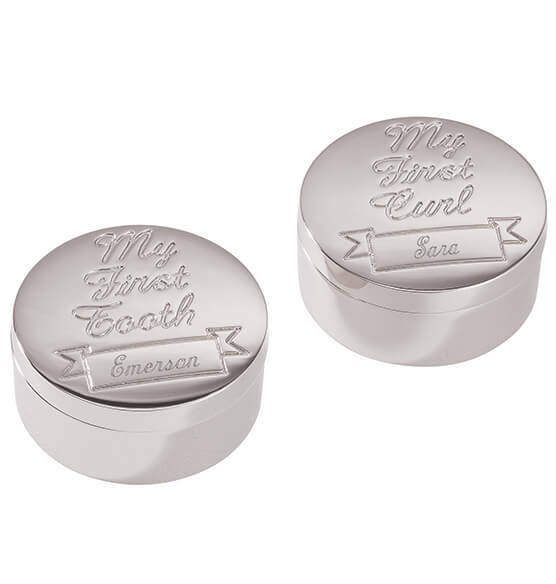 We'll engrave one special name to both lids, creating a keepsake gift set to welcome Baby, or to celebrate birthdays, baptisms, christenings and holidays. Specify 1 name.